Punjab Assembly elections are being held on February 4, 2017 and SAD-BJP alliance is trying its luck with strong-hold development agenda for a hat-trick but with the entry of Aam Aadmi Party, the vote bank is divided and there could be chances of hung Assembly – with no political pay with an overall majority. So far, the trend of the people in the state is heading towards a complete change in politics as the common man is not satisfied with the government of SAD-BJP rule during the last ten years tenure. There has been more projection of leaders than taking care of the common man. In such a scenario, the election results look to be different and surprising for all this time as the people are also fed with the traditional political parties and have made up their mind to try for the new party. It looks that for the first time the Sikhs of Akali Dal are shaken. Panthak politics is also being projected in elections but they should not forget that using such tactics is like a sword with sharp edges on both the sides. At the same time, the elections in Punjab have become more interesting with the support of Dera factor. In Malwa belt, AAP has more impact over the people because of vote-bank of deras. Earlier the issues were drugs, deras and dose in the form of reliefs in the form of subsidies but now the real issues of development and governance have been sidelined and are on back-foot. Whereas, the real issues could only decide the election results and the position is like that political parties are contesting on other issues while voters will vote on some other grounds. Earlier the elections were having a trend of one per cent margin in results but this time the serious, tough and unpredictable triangular contest on almost all the seats will turn the percentage also. 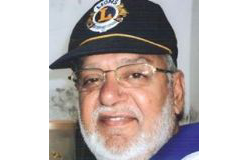 Punjab elections are attached with national interest as to whether Congress will crack its two times defeat or not. For SAD, it is also important which has ruled for two terms to prove its third time victory. Congress has only one Punjab window which could give a new concept for its existence, for 2019 elections. In such circumstances, we cannot say that Punjab elections will not have impact on SAD-BJP alliance. It will also be a set-back for Kejriwal of AAP if he loses in Punjab, who has ambitions for becoming Prime Minister. Perhaps, this is the first time that national political parties have come up with regional agendas with intentions that the people will not accept the national parties which have disadvantage for AAP which has not developed its sensitivity over the issue being a new party. But AAP too is getting a good response because of availability of anti-incumbency available for two times. It is an admitted fact that common voters have high expectations from new party despite the fact that there has not been strong anti-incumbency and vote division so far in Punjab. For the first time, Panthak identity is being cracked up in Punjab and issue of sacrilege cases, disrespect to religion issue are being tried to be encashed. AAP is not lacking behind to blame Congress and SAD playing friendly match inspite of the fact that both these parties are accusing AAP. It is also seen that the voter this silent as usual but silent voters are more dangerous and can turn the tables at the eleventh hour. People will definitely think about the old days of terrorism while deciding to caste vote which could have a negative impact on the minds of people. There is a fear that since polarization doesn’t build cohesion, inclusiveness, it could affect peace and harmony of the state at the cost of common man. In such a situation, AAP is getting a good response from vote-bank attached with the Akali Dal for which Congress is also worried. As to how one could deny that Punjab’s peace is not in danger when we see that radical forces, hardliners are at the support the AAP. Even AAP Supremo stayed at the residence of hardliners during his election campaign in Punjab. AAP too has some limit in its political field because of newly launched party but when it crosses its limit then there is a polarization and Hindu of Punjab becomes worried. This is the reason that even PM Modi, both Akali Dal and Congrss have raised the issue strongly that introduction and importance of AAP in Punjab is not in a good indication for peace and harmony in the state. So far as regional impact is concerned, when AAP is getting advantage in Malwa region and when it crosses its limit, it is bound to have disadvantage in other regions. Talking about the reserved vote, dalit vote bank is not collective but scattered, dispersed or helter-skelter. It is fragmented as it doesn’t have any political identity but directly or indirectly attached with some party. In one of the analysis, jats are dominating on only 11 seats in Punjab, 6 seats where scheduled caste, 3 only where non-scheduled caste and non-jat or urban Hindu and rest of the 97 constituencies having mixture of all. Social engineering for one community at this stage will be a disadvantage for any political party. Fourth front parties will not have any crack in these elections as the elections are being contested so closely between the three major political parties – SAD-BJP, Congress and AAP. Another major factor which could affect its equations is that about 19-20 rebel candidates of other parties are contesting elects as on Congress symbol and out of which Congress is taking 8 candidates. 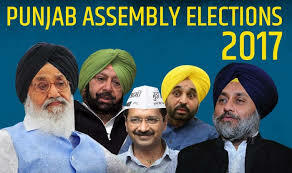 Political analysts are of the view that Punjab election will be more guided with electoral arithmetic and not with popular vote and the results will be different in Malwa and other regions – Majha and Doaba and cannot be predicted as to which party it would be work as spoilers. Frankly speaking, earlier the voters were indecisive but with the entry of third party – AAP – which has made the triangular contest in Punjab. Presently, when only two days are left, the election trend is moving towards hung situation with over-all view and popularity of the political parties in the state. So far as undertone is concerned, one can’t say anything at this stage. However, the contest is between the three parties and coming with strong holds is moving towards a change as the momentum is towards AAP. It is difficult to say as to whether the change momentum or over-current would work in whole of the state or not. In such a scenario, we can say that chances of hung Assembly are more than majority.